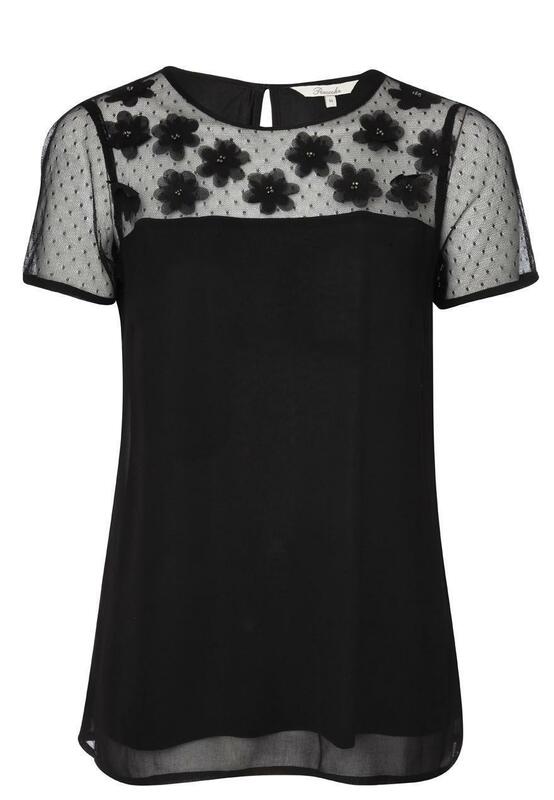 Go for flower power in this applique top. 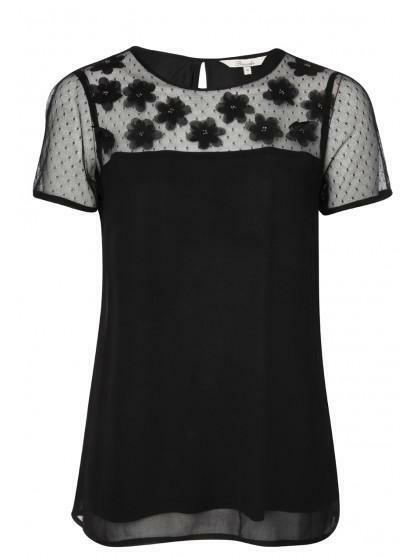 Featuring mesh shoulders and sleeves with applique flowers and a keyhole back and a button fastening. Wear with your skinny jeans, stiletto heels and some bold lipstick for a smart look!